Many people go on vacation because they want to build and strengthen relationships. The most important of such a relationship is having time together with the family. This post is for everyone who enjoys travelling and love travelling with their kids and entire family. With the flight tickets bought, hotel rooms booked, various attraction points planned, bags packed and everything is ready for that family vacation you have taken months to plan… It could be a daunting task when taking such a vacation with children. 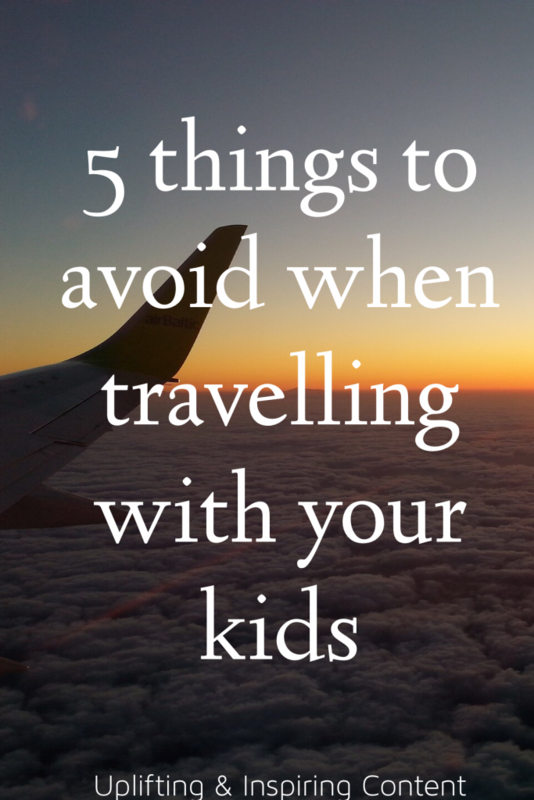 If you plan to take your children along with you for this incredible trip you have already planned for, then make sure you avoid doing these 5 things I will be sharing with you below. Vacations are first of all expensive and not to talk of when you have to do that with children. The most important thing when you take a vacation with children is for you to get the best experience that you could have as a family. Have it in mind that vacation is not the quantity of activities or attractions that we may have put on our list of things to do, but the quality of time that we spend together as a family. That takes us to what I said is the most important reason for taking vacations as a family – to build and strengthen relations. Children may always want to have many attraction activities and will not be satisfied if they don’t spend enough time in one place. So it’s time you check your to-do-list and strike off some of your activities. If you ask me, I will recommend one activity per day. Don’t underestimate your children’s needs when you are planning a family vacation. Just like you should not under-pack, you don’t also have to over-pack. Every parent who is planning a vacation with kids will not want to forget anything the child may need. This may lead you to taking too much that will only add to your burden of too much luggage. My recommendation – pack just what is important. The fact that you just have to pack what is important when you want to take your vacation with children doesn’t mean you should not take items that will entertain and soothe them. Make sure you take their favourite toys or things they love to have when they are at home. Children get stressed and find it difficult to relax when they can’t find their favourite toys. It serves as a source of comfort for them. If you want a peaceful vacation, never forget your kids’ best toys. We always assume that what we want as parents is what is good for the kids. That’s not true at all. If you don’t want your vacation with children to be a miserable one, make sure you include them when planning activities. Ask them what they will want to do during the vacation. Involving your children in planning a family vacation, will eliminate things they will not like to do which you thought will be good for them. Children become hungry more than adults during long trips. If you don’t want a scene because they are hungry, make sure you prepare small bags with snacks that they can eat to calm their hunger. You should also have it in mind that your child may not want to eat the food provided on board. There are many other problems parents encounter when taking a vacation with children. Don’t hesitate to share with us some vacation tips in the comment section below.